In short, if you are a foreigner/teacher with a E2 work visa living in Korea you have three lousy options to visit China. This new rule listed below has messed up many foreigners plans, and is definitely an imminent problem for many living in Korea. There are new rules for foreigners living in Korea that want to travel to China. 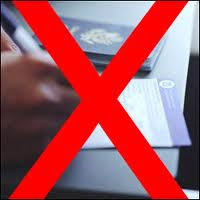 According to the information provided by China visa applicants, TravelChinaGuide.com kindly informs you: China visa rule has changed since July 1, 2010 for non-Korean applicants in South Korea. Foreigners who want to apply for visas to China, he/she must provide the alien registration card in South Korea valid for more than 6 months. Diplomatic and Official/Service passport holders are excluded. Option 1: Foreigners can go to the Chinese Embassy in Seoul with and apply for a Chinese visa that lasts for 30 days. However, your alien registration card needs to have 6 months left. This is where things get completely messed up. First year teachers who get barley any vacation days, would have to try to plan this trip on a very short time frame. Maybe on a 3 day weekend, or you would have to take off work for an entire month. However, most teachers cannot take time off work until their second year contract. Option 2: What if your alien visa card has less than 6 months left? For example say a teachers contract and alien card, expires on October 1 and you want to go and travel in China for one month after your contract. First, send your passport and visa application form to USA, ask your friend or relatives to apply for you, then send back to Korea. This is not such a good option because you are sending your passport by mail which is a huge risk factor. Option 3: Another risky option for those with alien registration card valid for less than 6 months. Apply for China visa through the travel agencies designated by the Consulate-General of China in Busan, which has not applied the new rule. I do not know why the consulate in Busan has not applied the new rule, but I have read about it online. I have no idea why they have not applied the rule, or when they will. But this is probably a teacher’s best option. The downside is that you have to travel to Busan and hope that everything goes smoothly. If you are a foreigner in this boat and have discovered any other ways to get around this new policy share your thoughts! What if you don't have a ARC at all? Impossible? British citizens can go to Hong Kong and get a visa for China there (which takes 2-3 days). Not sure about other nationalities considering the link between UK and HK. Is it possible to get an visa in America and still fly out of Korea to China?? You can go to HK. Macau too, I think. Just buy a visa for China in HK. Takes one day usually. Easy for most nationalities.